With two suicides this week of well-known Americans, "best practices" for reporting such deaths are again relevant. NPR's reporting has mostly been exemplary, even as it has missed the mark at least twice. A newscast at 4 p.m. ET Thursday reported the means by which fashion designer Kate Spade took her life; the 1 p.m. Friday newscast reported the same for Anthony Bourdain, the chef-turned-food journalist. The headline reports that start each hour are the most-heard NPR reports. Listeners complained about both reports. Guidelines for reporting on suicides, drawn from the latest scientific research, are consistent in saying that journalists should steer away from reporting the method used. The American Foundation for Suicide Prevention, for one, counsels: "Do not include details or images of lethal means or method used, which can be triggering for those who are struggling and has shown to cause contagion." The site reportingonsuicide.org puts reporting on the method in its list of "don't" recommendations, including a caution against "Quoting/interviewing police or first responders about the causes of suicide." 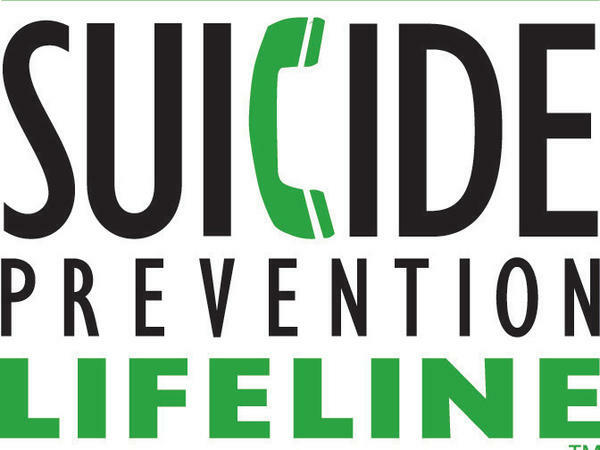 The latter site said its Recommendations for Reporting on Suicide were "developed by leading experts in suicide prevention and in collaboration with several international suicide prevention and public health organizations, schools of journalism, media organizations and key journalists as well as Internet safety experts. The recommendations are based on more than 50 international studies on suicide contagion." Other recommendations from those two resources are to include in news reports information about where people can find help, which NPR has consistently done. The suggestions also recommend that news organizations should avoid: sensationalistic headlines and words such as "epidemic," pictures of grieving relatives and friends, describing the contents of a suicide note, and describing a suicide as coming "without warning." NPR's reporting has been consistent there, too. Another guideline from the American Foundation for Suicide Prevention is to avoid saying someone "committed" suicide, as NPR's standards and practices editor Mark Memmott has reminded the newsroom this week. As the Associated Press notes, "the verb 'commit' with 'suicide' can imply a criminal act." Memmott told me that NPR's policy is to "be judicious" about the method of suicide, adding that NPR reports should "not go into considerable detail, because of the research that has been done on whether that might or might not inspire others to follow suit." But, he added, it is "standard news procedure" when reporting on someone's death to include information on how that person died. "You don't want to make it overly dramatic," he said, and the report should quickly move on to "telling the story of the person's life." NPR has also been doing stories on why suicide rates are going up, including one on how journalists should report on suicide. Why mention the method at all? He said that the method was cited by the medical examiner in the Kate Spade case and "it's a matter of record." In Bourdain's case, a French prosecutor cited the method as the cause of death. I disagree. Those facts may indeed be part of the record, and yes, news organizations generally do report on the causes of death. But I trust the work of the public health experts here. In neither Spade's nor Bourdain's case was the exact method of suicide relevant to understanding the sad stories. NPR does not need to ban its reporters from reporting such details, but I would hope the newsroom would reconsider its policy and make even more judicious calls in the future.